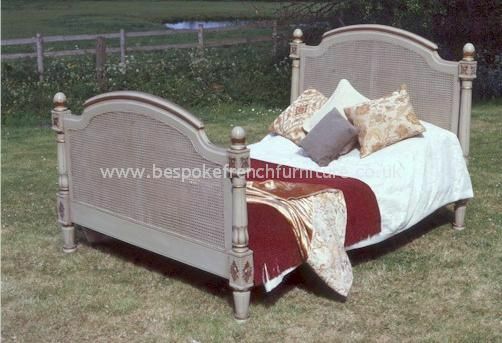 From our Bespoke Collection - where you can choose the frame colour and the fabric - is this traditional styled Chrissie French Bed with hand carved posts and rattan head and footboards. Also available with a low footboard - ask for details. 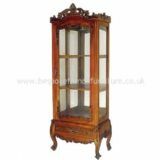 It is hand made from solid mahogany and is finished/upholstered in the UK resulting in an exceptional piece and is available in four standard sizes - Single, Double, King and Super King. 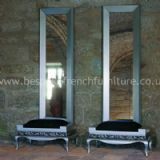 We can also help should you need your own specific size - just call us. 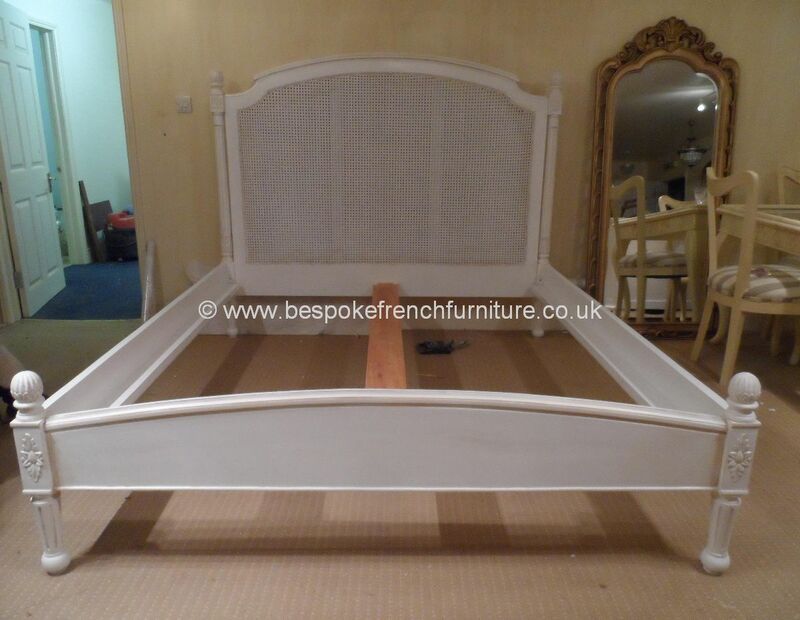 The price for the bed shown here is an example and applies to similarly finished pieces. Should your order require more work or more expensive coverings then the price will need to be adjusted accordingly. Please contact us for a quote. 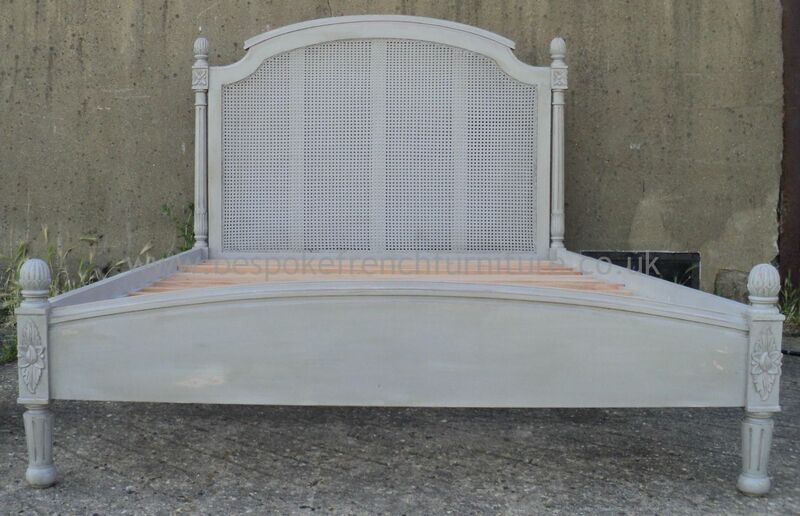 Colour/Finish: As shown or your choice of colour.